Pumping for twins means that double effort and energy is required in order to express an adequate amount of milk. Let’s all face it, even though you have the time and energy, you will not be able to pump enough by just using a manual pump. 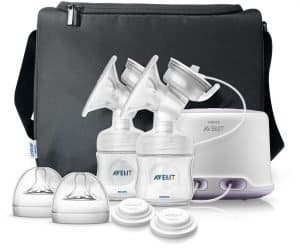 The best breast pump for twins is one that is electric or battery operated, double pumping system, and the famous hospital grade breast pumps. Double pumping: Being able to express from both breasts is more efficient and fast. Most especially being able to double pump will help especially if you are breastfeeding twins. Electric or battery operated: It is stress-free if you will let the power source do all the work for you. An electric pump will also keep and provide you a good pump rhythm without hand fatigue that you can get from manual breast pumps. High quality: If buying a breast pump for twins you have to ensure that it will be in good shape and high quality to survive high usage and long-term use. Fast and efficient: You will want to choose a breast pump that is fast and efficient enough to keep up with your twins’ needs. Convenient: If you are a mom who is constantly out of the house and mostly pumps on the go, then you must choose a breast pump that can be battery operated and not that bulky. So that you can carry it around easily inside a breast pump bag. This Medela breast pump is a double electric pump with a carrying case. It is very suitable for moms who need to take their pumps with them most of the time. This pump also works best for moms who express milk several times a day most especially those expressing for twins. The Medela pump set includes tubing, battery pack with storage cage, AC adapter, four Medela bottles, breast shields, two valves, four membranes, two personal fit collectors, four bottle lids and a cooler with an ice pack. Medela’s breast pumps claim work more like breastfeeding babies to deliver the milk you need to provide for your twins. This double electric pump is perfect for moms who need to express more than the usual since it is designed to be used several times a day and as a double pump. Time management is essential when you’re breastfeeding twins. That’s why double breast pumps are there for moms who want to effectively utilize their time and be able to pump from both breasts at the same time. A helpful tip for all the other mothers out there is that any mother who is pumping needs to know that a Hands Free Pumping Bra helps a lot. Having one will allow you to multitask and take advantage of the time while you are expressing milk. Another plus for this pump is that its bag is insulated and comes with a reusable ice pack that fits four breast milk collection bottles. With its two-phase expression technology, this Medela Symphony breast pump is designed to mimic a baby’s natural nursing pattern. Although this breast pump is high-end and very pricey, this one gets the work done. It offers convenience, allowing mothers to switch between single or double pumping. This first-class breast pump also comes with a let-down button that helps mom in quickly returning to stimulation. The Symphony is also proven to reduce pumping time. It works with a faster let-down and milk flow and removes as much milk as a breastfeeding baby. The Medela Symphony is the most efficient hospital grade breast pump on the market today. However, this powerful breast pump is also the most expensive one. This sturdy and robust breast pump is best for everyday use and will not falter, not even a single bit. This is also usually the pump recommended to mothers who have trouble with their milk supply. This pump is suitable for initiating and maintaining milk supply. Despite the many features that this pump can boast, this is a problem when it comes to portability. Mothers who are always on the go and who will not be able to pump mostly at home will probably have a hard time making use of this pump. Furthermore, the Symphony has to be plugged into work and is pretty heavy. The Philips Avent Comfort Double Electric Breast Pump is all about being gentle and comfortable. Not only that this pump provides a let-down mode but it also has a uniquely soft and flexible breast shield. These shields are also known as massage cushions with innovative petal designs to make pumping super comfortable. These massage cushions are placed into the flange part. And they can create an almost vibrating feeling that mimics the baby’s natural sucking. This will also help stimulate let down and milk flow. Since these pumps are very comfortable, it will be easy for moms to pump several times a day to meet the demands of your beloved twins. Also for added comfort for the mothers, this pump has been designed to eliminate lower back strain which is common among most mothers. Many pumps require you to lean forward to let gravity assist you with pumping your breasts, but because of the design on this breast pump, you don’t need to lean forward at all, therefore, letting you sit in a good position while pumping. That will make a more comfortable pumping experience for moms who struggle with back issues. This Comfort Electric breast pump can be used as either a double or single pump, which gives the mothers an option to pump according to her preferences, whether to express from both or from only one breast at a time. This pump also wins on comfort, hygiene, portability, and ease of use making it a good breast pump. The S1 and S2 are most likely similar, only that the S2 will not be able to run on batteries. Both pumps boast and deliver so many great features and are made to really meet not just the needs but also the wants of every mother. Like all Spectra pumps, the S1 has a pair of backflow protectors making it a closed system pump. It has a physical barrier between the milk and the pump which makes it more hygienic and ensures motor performance. Many breast pumps have a suction limit of 250mmHg but the Spectra S1 offers a higher suction limit that reaches up to 300mmHg that will help you when you are pumping for twins. Each woman will have different suction preferences and while many mothers do not need a suction strength this high, this is still definitely an advantage because a wider range would mean that this would benefit more mothers out there. This breast pump is extremely flexible with touch buttons and digital controls for easy operation. The pump’s ability to be used as a single or double pump is truly a plus too! 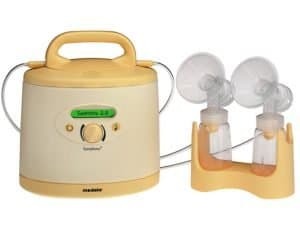 Since this breast pump has a promising suction limit and strength, it is powerful enough for maintaining and building up milk supply and this pump also works best for those mothers with low milk supply issue and who are pumping for twins. The First Years Breastflow is a very affordable double electric breast pump. It has a digital display and a touchscreen interface that allows mothers to control the pump’s suction and speed. When you need to pump both breasts simultaneously, the pump’s handle allows you to use only one hand to stabilize it. While the plastic handle lets you pump both sides one-handed, it positions the shields in a way that won’t work for everyone. This pump has a fantastic memory feature which stores information about up to ten pumping sessions. This breast pump works well with any wide neck bottles. It also comes with a rechargeable battery to use for pumping on the go. One flaw with the First Years Memory pump is that it is an open system breast pump system. This means that its single user use only, so don’t lend this pump to other moms or sell as second hand. The Spectra Dew 350 is a perfect combination of mother-friendly features and hospital grade technology. It’s made for busy mothers who want a fast and easy breast-pumping experience, especially when pumping for twins. This pump was made to initiate, increase and maintain a milk supply over a long period of time. Operating the pump is indeed very simple is very effective and easy to use. A lot of mothers also claim that this pump never gave them pain and discomfort despite the absence of a let-down mode. This breast pump is a hospital grade and closed system pump. The Dew 350 will work nicely on a lot of moms. If you are a new mom who relies on a pump to build supply to meet your twins’ demands, we can assure you that this can work miracles for you! Also if you are very sensitive when it comes to speed and suction strength, you have to take note that the Dew 350 is not able to adjust speed and suction strength separately. The Dew 350 is also available for double pumping. Therefore providing mothers a chance to save time and promote better supply. This mighty pump is suitable for use for up to eight times a day. But sad to say this does not have a built-in rechargeable battery. Despite its power and size, the Dew 350 operates quietly. Thanks to its piston driven technology. Set up a comfortable space as a nursing area in your home. It is ideal that you get to relax in a comfy spot while breastfeeding or pumping. Being able to relax in an area that you like will help in milk let down. Put up a comfortable chair or a mat for you to sit on. As a breastfeeding mom of twins or multiples, you have to make sure that you also have the nutrients needed for you to provide your babies. When breastfeeding or pumping, make sure that there is a drink or water within arm’s reach. A healthy snack will be good too and also a couple of breastfeeding supplements to increase your supply will help a lot. Feed and pump multiple times a day. Keeping up your milk supply is very important. If you nurse or pump only for very few times than eight times in 24 hours it is likely that your milk supply will start to decrease and you would not want that especially if you will be feeding twins. It is ideal that you pump in between feedings. The best breast pump for twins is the one that will empty both breasts at the same time, making pumping faster and more efficient. Lactation consultants, breastfeeding experts, and doctors will help you if you have a hard time when breastfeeding. Breastfeeding can be a bit stressful most especially a new mom. 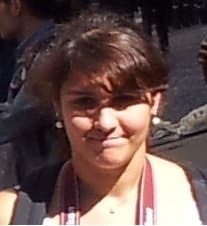 More so, if you are a mom of twins or multiples. But worry not since professional help is always readily available. For moms out there, you should not hesitate to ask for one. “The more milk your twins take, the more milk your breasts will make”. It is known that in order to keep your milk supply up, you should also nurse frequently. So, it is important that even when babies are not breastfeeding, you get to express milk through pumping. When you pump, not only that you get your supply up. You also get to stock a supply of breast milk in your fridge for future use. There are many ways that you can store your milk. It includes the use of milk storage bags and milk trays. According to Heidi Murkoff, much of your breast milk will flow within the first five minutes. A couple of short feeding or pumping daily will increase your supply better compared to having few but a long expression. It is ideal to add pumping up to four times daily, added to your nursing sessions. During these times, a double breast pump will be of great help. These devices will help you enjoy additional sleep while your partner or nanny will feed your baby using your nutritious milk. Breastfeeding supplements can also help a lot!